(published by US Lacrosse) and written 12 lacrosse articles for Scholastic Coach and Athletic Director. A frequent clinician, Coach Kenney has presented on topics such as special situations, the 1-4-1 offense, film editing and a crease sliding defense- among others. The father of 4 sons who played in college (Princeton, Virginia, Syracuse and Penn State), Coach Kenney's expertise has been honed in the backyard as well as on the playing fields. A past President of the Midwest Scholastic Lacrosse Coaches Association and US Lacrosse Men's Coaches Council, Coach Kenney continues to stress professionalism and continued education among coaches. Coach Kenney was appointed the Head Coach of the Scottish National Team for the 2008 European Cup ,held in Finland - a position he continues to hold and has written a coaching certification manual for Scotland . Coach Kenney has also been a speaker at the US Lacrosse National Convention 8 times and wrote a monthly coaching column for Inside Lacrosse . Recently Coach Kenney guided the Scotland National Team to a 7th place World finish in the 2010 World Games, Manchester, England and coached the Highlanders in their successful showing at the 2012 Europeans. In 2014, Coach Kenney led the Scots to an historic 6th place victory in the World Games and a slot in the Blue Division. Coach Kenney is also a member of the Bridgton Academy and the Michigan Lacrosse Coaches Halls of Fame. 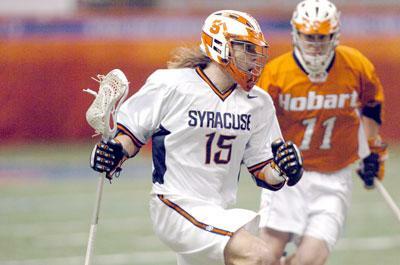 He currently is the Director of Coaching and Player Development for 13 Mile Lacrosse Club. and a clinician for Juiced Cherries, Clarkson High School and Lawrence Tech.